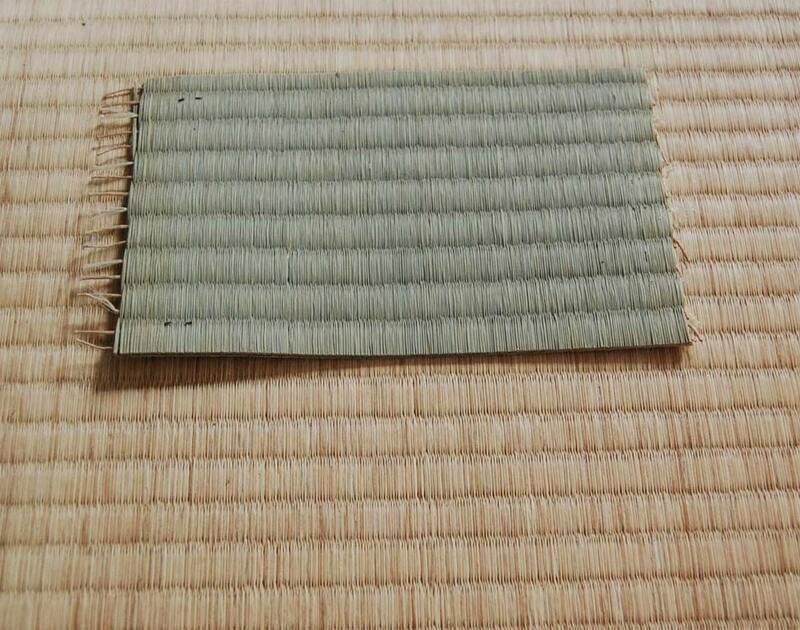 Known as the Omote. 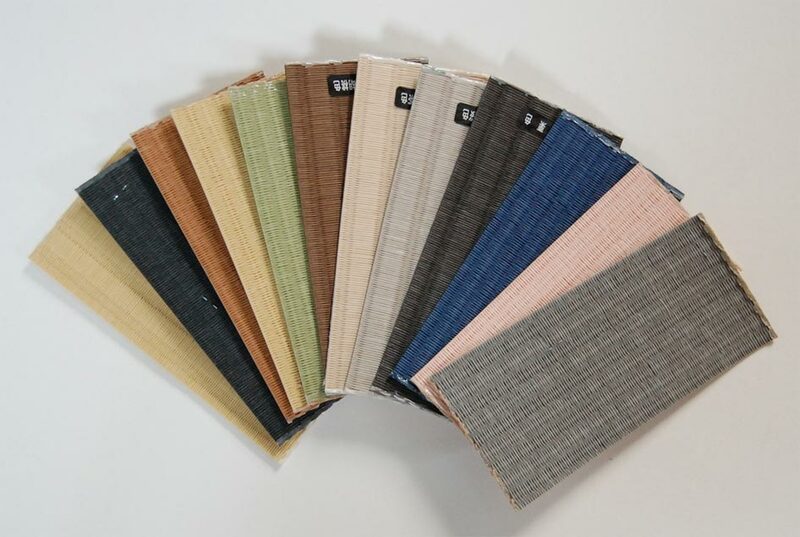 the top cover of the mat is usually made from woven igusa grass and there are a wide variety of mats to choose from depending on the look required and the budget available. 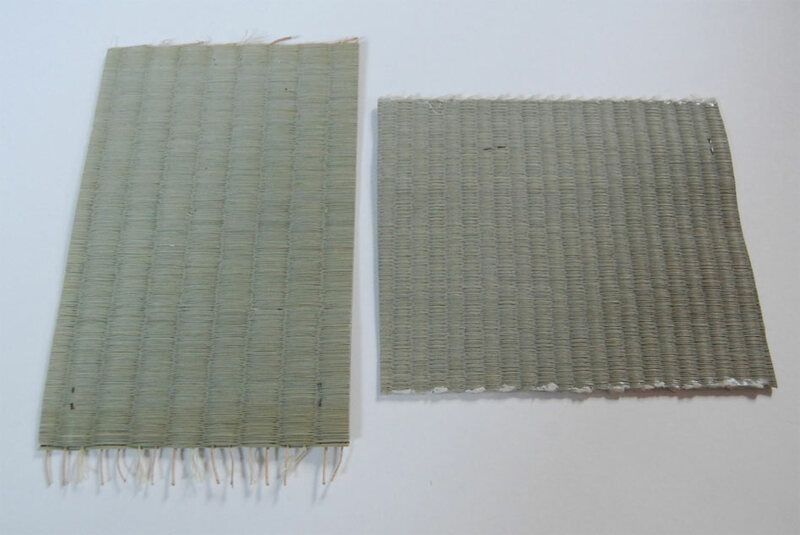 There is a wide range of top mats which have more with the higher qulaity Omote having a higher quality grass and more internal threads. 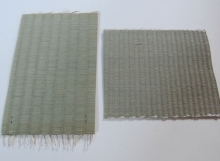 Visually the difference between the mats can be hard to perceive but for areas where there is likely to be high traffic the higher quality mats will give longer service. 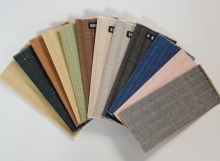 There is also a range of paper tatatmi omote which come in a variety of different colours. 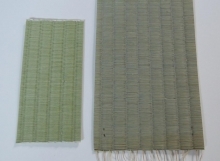 A fresh tatami is usually light green and then with the passage of time and sunshine the mat will change to a more barley colour. 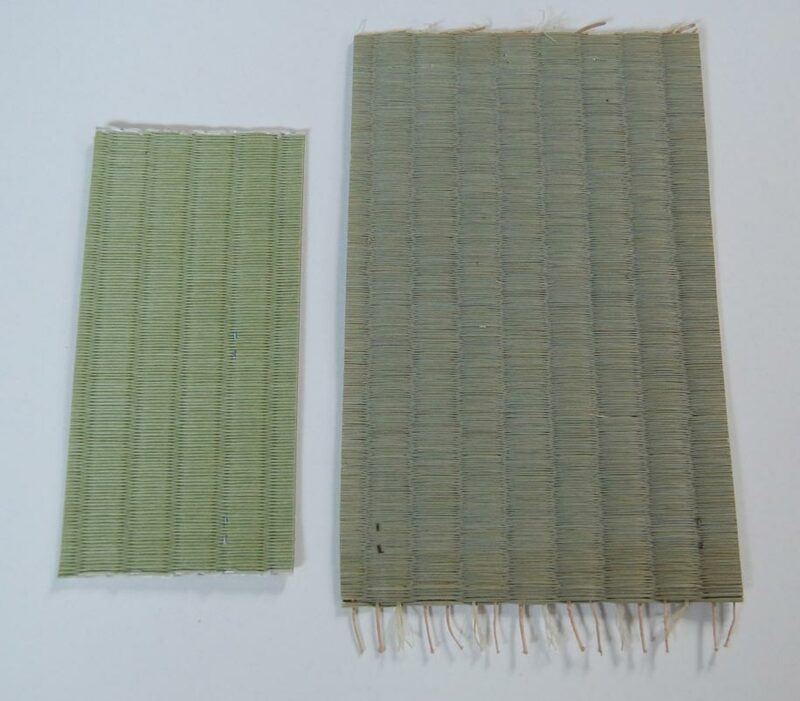 The vast majority of mats sold in Japan have the wider more open weave of the left hand sample with the fine weave style of mat shown on the right hand side. 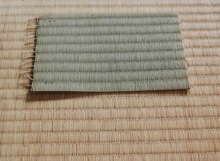 The fine weave is more often used when there is no border.